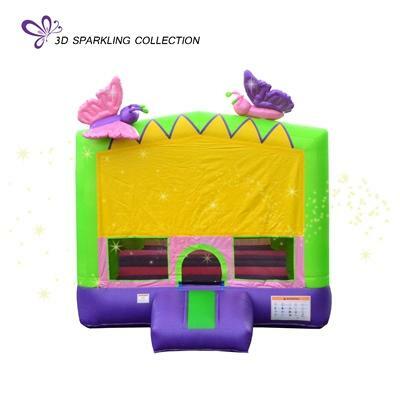 Bounce with our 3D SPARKLING BUTTERFLY BOUNCE HOUSE! Make your party all shine. 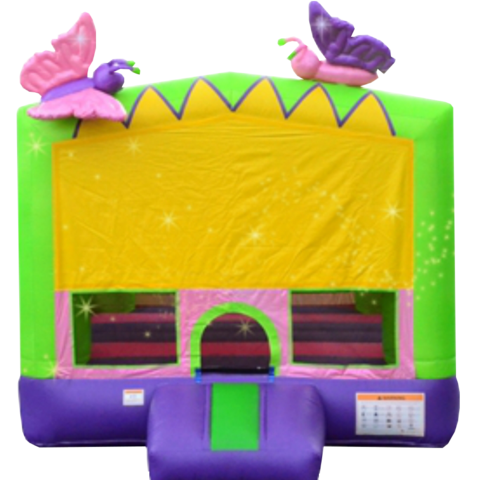 We can’t think of anything more fabulous than this 13′ x 13′ Butterfly Effect Bounce House. Get it to your girl’s dream party and see for yourself. Butterflies made of new sparkling vinyl and pillars are made out of 3D sparkling material.